Germany, one of the most powerful countries of the world, has been drawing people from across the globe over the availability of jobs in all important sectors. While individuals can explore the opportunities in Germany by going there on Germany Job Seeker Visa, you actually need to make an ever lasting impression on the recruiter in the interview to crack it and land in the job you desire. Always be on time at the interview, if possible at least before 30 minutes before the scheduled interview time. This will give enough time for you to settle down instead of rushing at the last moment, which may take your dress and hair style for a toss. You dress during the interview is really essential to make your employer believe that you are really interested in the job. Always wear a light colored shirt and a dark colored trouser and if possible, a double-breasted dark blazer and a dark blue/ash colored tie. Women are also advised to carry themselves as formal as possible. Never wear party dress or anything that’s flashy. Five to ten seconds of time from the interview room door to the seat can actually give a rough picture about you to the interviewer. An interviewer would usually look you from top to bottom within five seconds to make sure you don’t look odd. If your shoes or not polished, you may present yourself as a person who is not interested in the job. This is one of the most important interview tips for Germany. Your body language can speak volumes about you. Interviewers are experts who actually try to know as much as about you through your non-verbal communication especially during German job interviews. You may choose to nod your head in anti direction while your answer says ‘yes,’ to a particular question; the interviewer would easily understand that you are answer is incorrect. Your body language should always be positive. You must make sure that your legs are tucked back and your palms rested on thighs or on the table. Considered one of the most important interview tips for Germany and other countries as well, eye-contact is a must that any interviewee must not compromise on. Always look into the eyes of the interviewer. When you don’t look into interviewer’s eyes, it projects that you are not confident or comfortable about the conversation. Even if you get paid not so high also, your honesty will surely take you to places rather than faking up things and submitting fake documents and then saying all odd things in the interview for covering up the mistakes. These are some of the most important interview tips for Germany. There are many more things that need due importance especially during German job interviews. 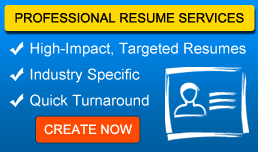 To know about them, you need to visit resume writing consultancy, JobSog. It would give you required training to face the interview with confidence. Approach Jobsog.com if you are not prepared for German job interviews. You can read other areas of career advice articles, click here now at Career Advice.